We got a little sidetracked on one of our summer trips in “Little Italy” in Boston, Massachussetts. Instead of following the Freedom Trail, we ended up following the procession of St. Roch (San Rocco). We saw his statue raised on a platform and draped in dollar bills and checks given by those seeking prayerful intercessions and giving thanks for their life’s blessings (the money is given to various charities in the community). We curiously joined the crowd and marching band and walked with them for a little while until we made our way back on the Freedom Trail. Later we learned that one of the town’s churches, in conjuction with the saint’s society and other local organizations, sponsors an annual festival in honor of St. Roch. Although we did not attend the celebration then and missed out on sampling the food items from the vendor booths, we have observed his feast day at home by making a dessert in his honor. 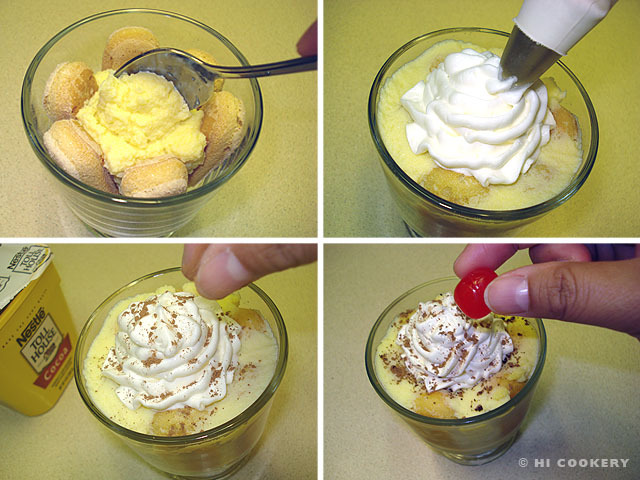 St. Roch’s Fingers reminds us of a mini version of the Italian tiramisu except it is more simple. Try this cool custard-in-cookies for a hot summer day and especially for the Feast Day of St. Roch. Microwave the milk on high power for at least 45 seconds until scalded. 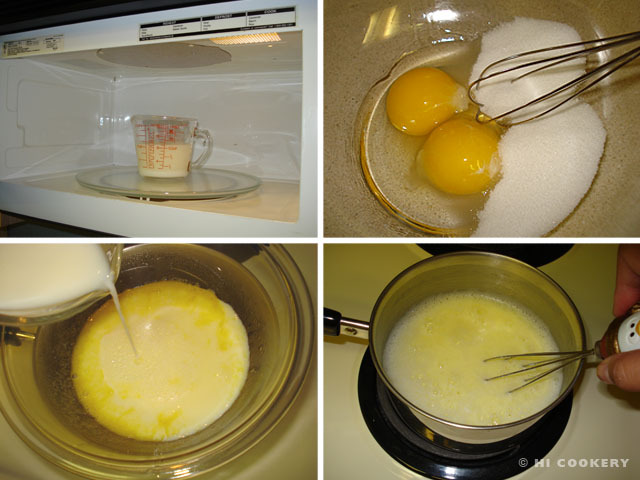 In a bowl, beat the egg yolks with sugar and salt until pale yellow. Gradually add the milk, whisking constantly. Transfer to a small saucepan over medium-low heat. 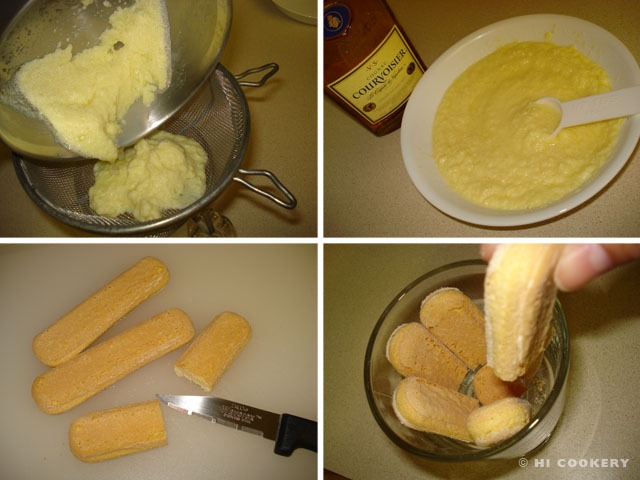 Stir until thickened (more than five minutes) but do not boil the custard. Strain and discard excess liquid and cool the custard to room temperature. Refrigerate to set. Mix in the brandy until smooth. Cut a few lady finger cookies to fit the bottom and sides of a small cup or dessert bowl. Fill with custard over the lady finger cookies. Refrigerate for a few hours or overnight to allow the flavors to blend and the lady finger cookies to soften. Sprinkle with a little cocoa powder or grated chocolate, add a swirl of whipped cream and top with a cherry (optional). Serve chilled. Learn more about St. Roch and the tradition of his procession and festival at St. Rocco’s Feast Association of Malden website. 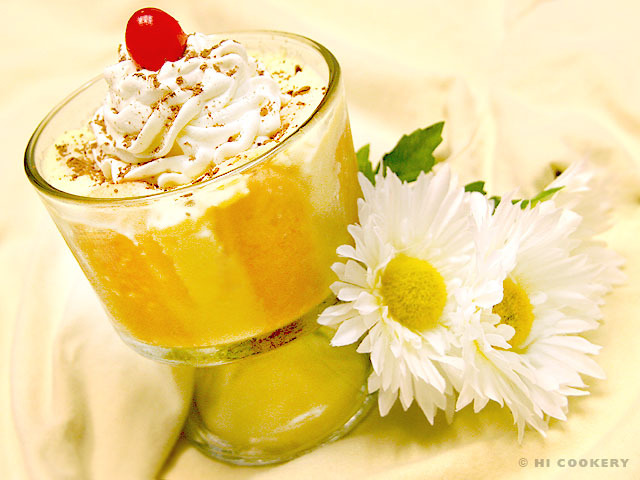 With leftover lady finger cookies, try the tastier tiramisu recipe in October for National Dessert Month. This is fantastic! The patron saint of the small hamlet 50 meters above us is none other than San Rocco, and this weekend has been devoted to festivities in honor of him (fun fireworks show last night). We’ll probably go for a look-see this evening!